Autumn is known for its beautiful colours and with the new boots from Nike, Adidas and Puma, which all command attention  the tremd is clear; the autumn will be dominated by purple and bright yellow nuances. 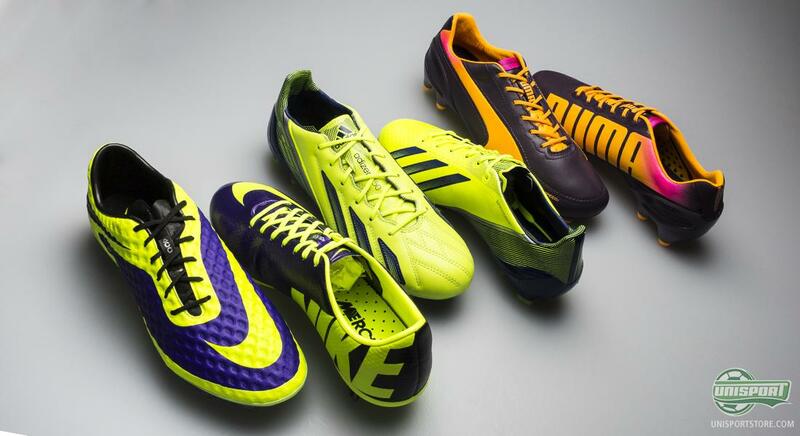 This is why we have taken a look at all the new and eye-catching boots here. They are the new kids on the block and they are certainly not the shy types, who concede to convention. 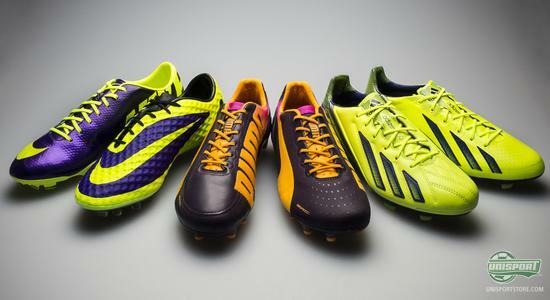 Both Nike, Adidas and Puma have recently released new boots, which scream for attention with clear and very visible colours. 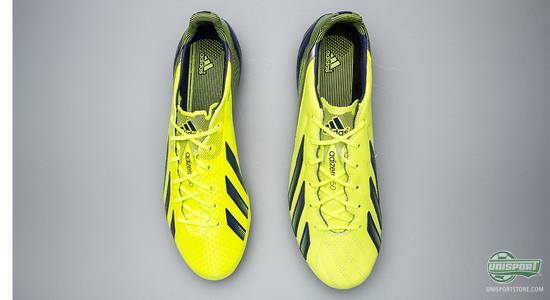 First came Adidas' F50 Adizero in a Neon and Navy colourway. 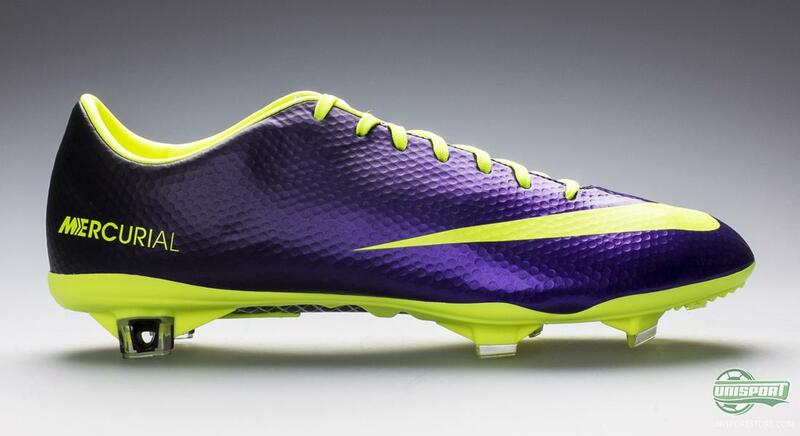 This was followed by Nike's aptly named Hi-Vis collection, which brought along the Hypervenom and Mercurial in very eye-catching purple and neon colourways. 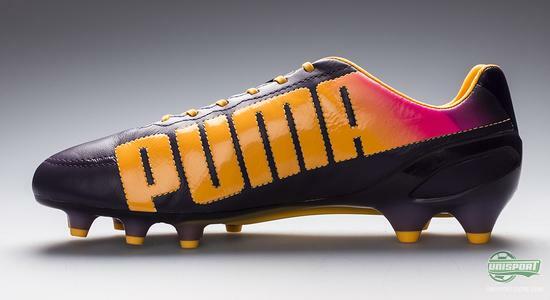 Last was the Puma evoSPEED 1.2 in a combination of orange and purple. We have gathered them all together, so you can get the full overview here. 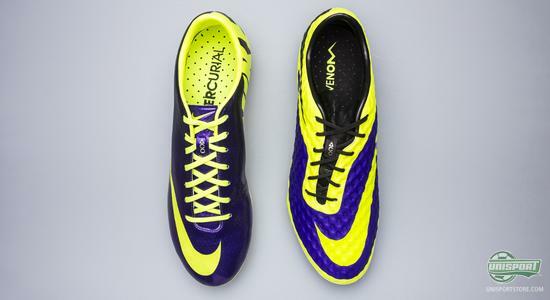 Two of the boots that well and truly demand attention and certainly also get it, is the Nike Mercurial Vapor IX and the Nike Hypervenom Phantom. 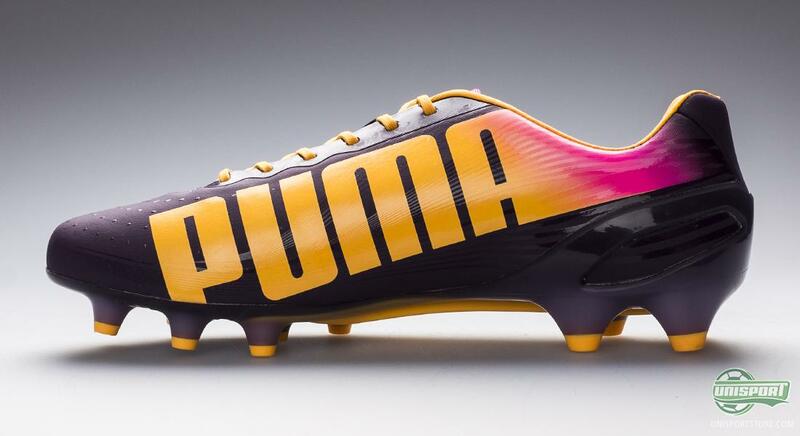 On the feet of some of the worlds very biggest stars, like Cristiano Ronaldo, Zlatan Ibrahimovic and Neymar Jr., these boots are used to have all eyes directed at them. With the Hi-Vis collection it is impossible to hide on the pitch and if you're scared of attention, the new Nike Hypervenom Phantom and Mercurial Vapor IX are not for you. The Nike Hypervenom Phantom is definitely one of the years most exciting newcomers and one we have spent plenty of time checking out these last few months. 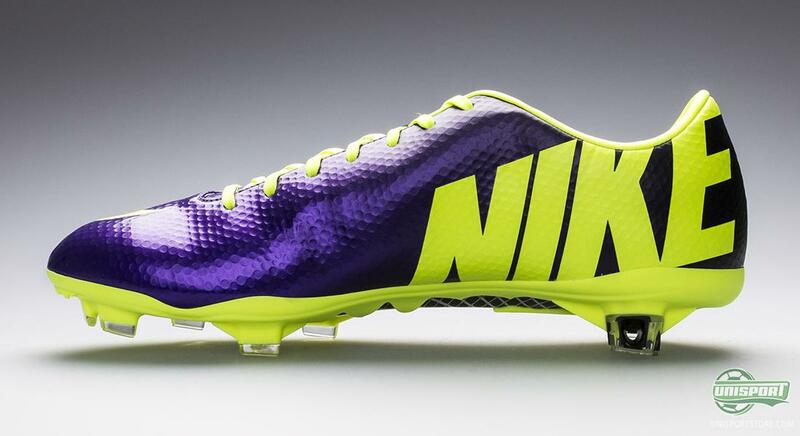 But how could you do anything else, when Nike make a new silo, which is directed at upredictable attacking. The Hypervenom has gotten of to a flying start and has spread far beyond the strikers it was originally intended for. With the new colourway update the chances of it catching the attention of even more players is great. It is in any case certain that the boot will be the centre of attention whereever it goes. 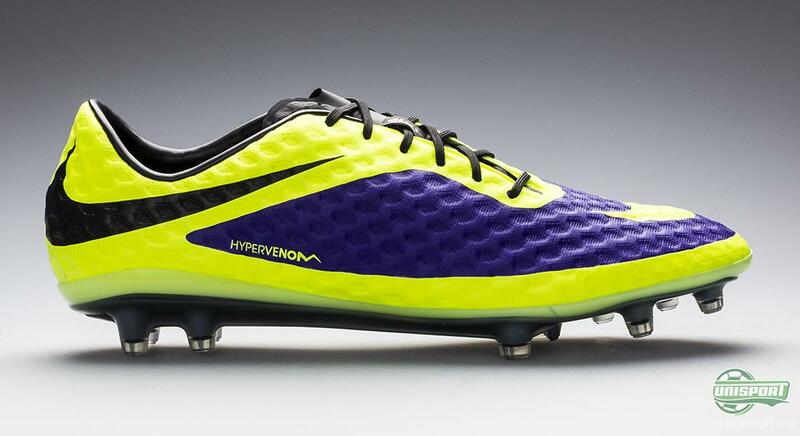 Even though they are far from identical, the Hypervenom has plenty in common with the Mercurial Vapor IX. Nike's speed boot is a boot that seldom goes unnoticed. 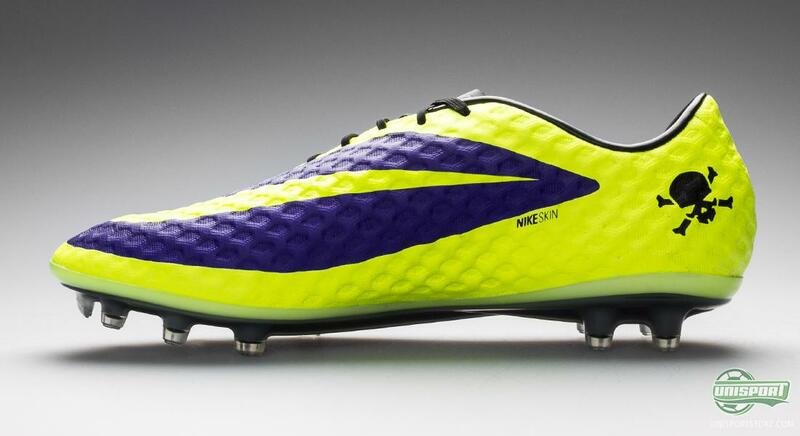 The boot is developed with SpeedControl, which gives a stable touch on the ball, even when going at top speed. It also has ACC, which is a technology that makes sure your grip in wet weather conditions matches the grip you have in dry weather. This means the Hi-Vis boot you get, is one born to attract attention and defintiely lives up to the pressure this brings. Speed, speed, speed and more speed is something connected with Adidas' now legendary lightweight [F50 Adizero,](http://www.unisportstore.com/football-boots/1414-f50-collection/) The fourth generation of the popular speed boot is the weapon of choice for lightning quick and technically gifted players around the world. The boot got a brilliant introduction infront of hordes of people, when they were shown off on the feet of Gareth Bale, at his presentation. Even though the Real Madrid fans probably came to see their new number 11, they couldn't avoid spotting the new neon coloured boots, which is rocketing in popularity already. As always with the Adidas F50 Adizero, it comes in two versions. The first model is the ultimate lightweighter and the boot for the player, who wants to shave off every supplus pound. At just 156 grams you are hardly weighed down wearing the Adidas F50 Adizero and the astounding low weight comes as a result of the thin upper. 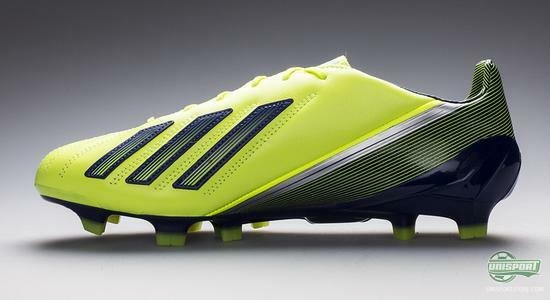 Through years and years of work, Adidas have made an upper that is light, strong and has a sharp touch. This has resulted in the revolutionising AdiLite Twin microfibre material. Even though the microfibre material has stormed onto the big scene and impressed players everywhere, there are still those who swear by leather. To accommodate this, Adidas have made the popular Adidas F50 Adizero Latger, which may weigh more, but gives you a full blood leather boot. 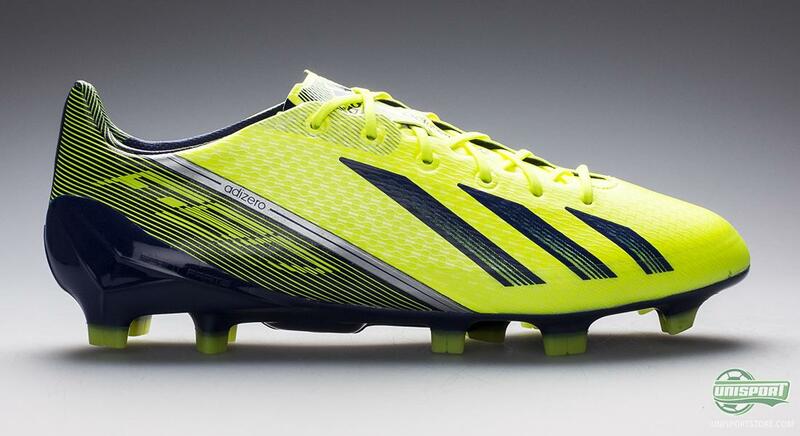 With an upper made of the nice Goleo-leather, you get a boot that will satisfy even the biggest leather enthusiast, like Lionel Messi, who swears by the leather model of the F50 Adizero, which clocks in at a weight of 203 grams. 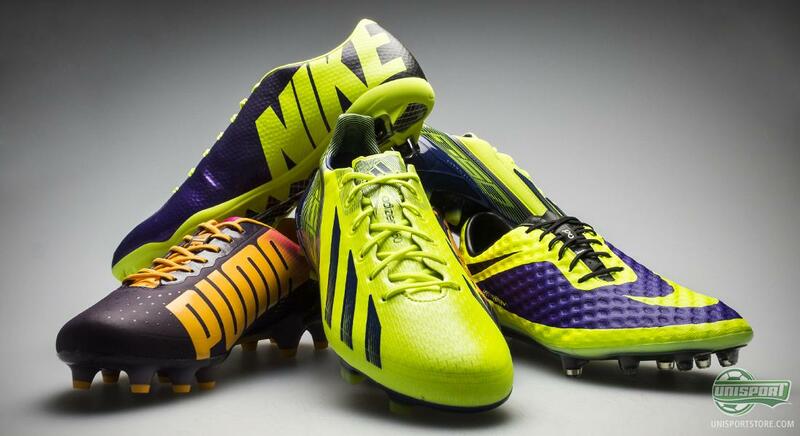 It is not just Nike and Adidas, who make eye-catching boots. 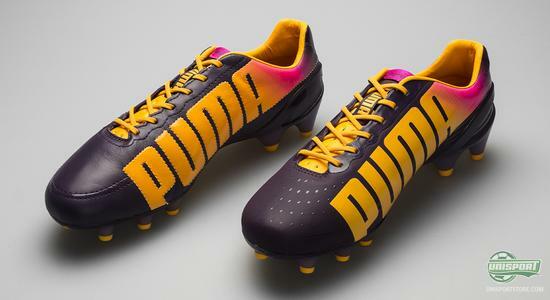 The second generation of the Puma lightweight boot, the evoSPEED 1.2, has also been given an explosive colourway update. On the feet of Sergio Agüero it already claimed its first scalp, when he and the attention demanding boot were a large factor in Manchester City's dismantlement of United. The boot is a big competitor on the market and that comes greatly thanks to the microfibre material on the Puma evoSPEED 1.2. 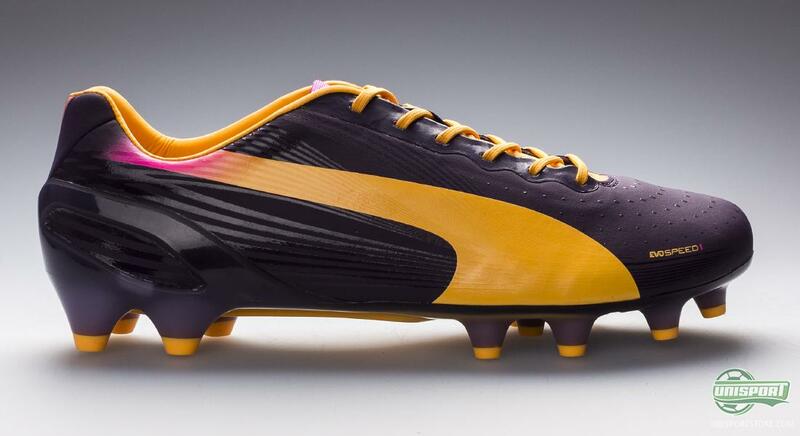 With a weight of just 185 grams, the Puma engineers have created a boot, which is sure to compete on the ever dieting boot market. On the upper Puma have allied themselves with the Japanese microfibre experts from Teijin. The thin upper is supported by Pumas Everfit Cage, which gives stability and the tightest possible fit. 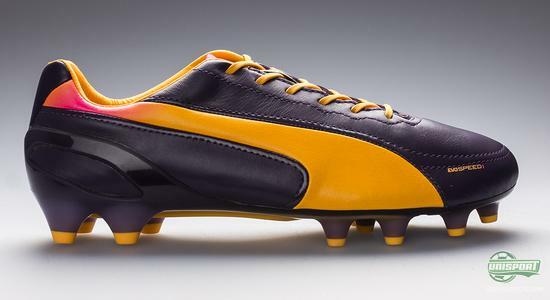 Puma also keep up with their brother company Adidas, as they too have made their Puma evoSPEED 1.2 in a leather version. It is made with a nice calf leather upper, which gives great comfort and a sublime touch on the ball, something that all leather enthusiasts will enjoy. 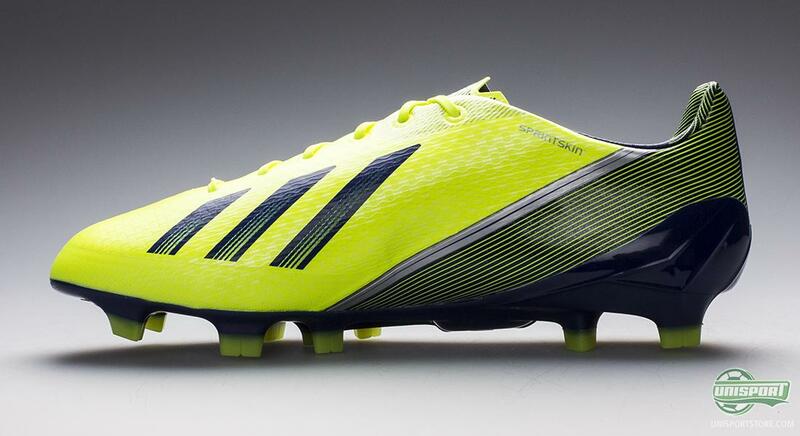 Just like with the Adizero leather model you have to compromise with the weight, but instead you get a boot, which is both incredibly quick and also very comfortable to wear. After this run through there can be no doubt that the new boys on the block all want to be the centre of attention. Not only with their indisputable qualities, but also their vivid looks. So if you want a boot that performs tehcnologically, as well as aestetically. There is no longer any excuses for not being seen, even in the dreary autumn months ahead. They have come one by one, but you have to say there is a certain similarity between Nike's Hi-Vis collection, Adidas' new boots and Puma's latest colourways. What do you think about the colours? And which one of is your favourite? We would love to hear your thoughts in the comment-section below, or on Facebook and Twitter.